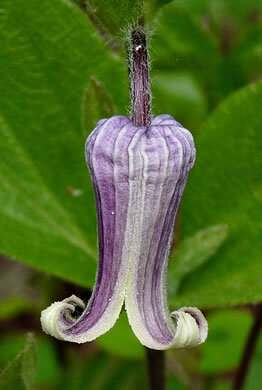 The edges of the sepals can be very hairy, but the surface is glabrous, per The genus Clematis in Georgia. Tipularia (Ware, 2009). 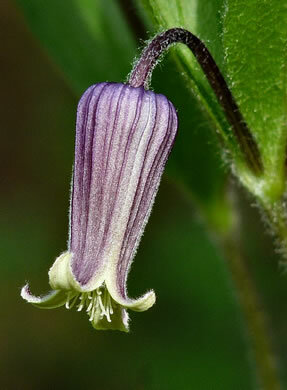 Flowers can be pale yellow but are usually purple, per The genus Clematis in Georgia. Tipularia (Ware, 2009). 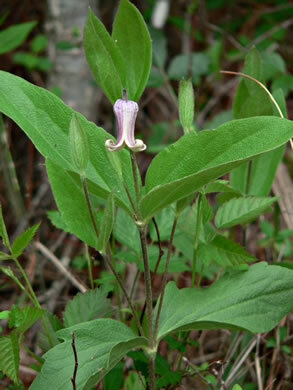 Resembling C. ochroleuca but generally slightly larger w larger thicker lvs, per The genus Clematis in Georgia. 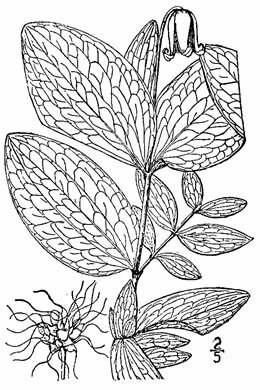 Tipularia (Ware, 2009).